 "Yoga with Heart" consists of a small group of yoga teachers growing together to offer welcoming, traditional, intuitive and affordable yoga classes for the gold coast community. The aim of our classes is to lift the student’s sense of well-being, gain body confidence, inner and outer strength, flexibility, leading to inner peace, joy, and an overall balance of body, mind and spirit.. We intend that each student or family member is treated individually and is nurtured along the path of yoga. Our yoga classes are non competitive and progress from easy to more challenging teachings when required. We’re in the business of building a safe supportive environment so each student can work at there own pace and we will adjust the practice to suit the individual needs of the student. Thank you for being part of our yoga community and helping us become better teachers. Hatha Yoga is an Ancient Indian Discipline Universally termed “The Ancient Science of Self Mastery" Hatha Yoga can also help to increase flexibility, strengthen and tone muscles, balance hormones, cleanse and flush the internal systems of the body, calm the mind, and when practiced regularly with mindfulnees, it leads to Integration of Body, Mind and Spirit. From the businessman to the busy mum, Hatha Yoga will aid to improve performance in many ways. With a calm focused and alert mind one can concentrate better on the tasks at hand and learn to live life in the present moment. Hatha Yoga will help to keep your body physically fit, with a more relaxed state of mind. It will help eradicate fatigue and leave you with a wonderful sense of Health and Vitality. Many Yoga postures are designed to lubricate the spine and joints. The gentle stretching increases circulation thus allowing life force energy (Prana) to flow more freely through the muscles and joints. This will in turn aid in improving flexibility and muscle tone. Research shows that stress is a contributing factor to a vast majority of illnesses in our western society. Raja Yoga (which is the 8 Fold Path of Yoga,) has been proven to be a stress relieving system and can assist the healing process on many different levels.